This Wooden Wall Plaque has an image of the Ant Man on a background of Ant Man related Comic book covers on it. 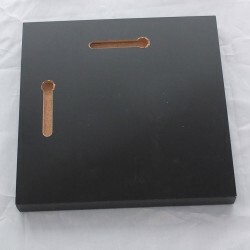 The Wooden Wall Plaque is 150mm x 150mm and 17mm thick. There are hanging holes pre cut in the back of the plaque so you can hang it up straight away.